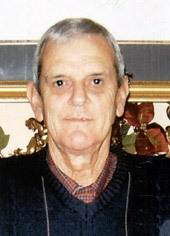 James Trahan was born in Rayne, Louisiana, and grew up on a farm in southeast Acadia Parish. He attended Mire Elementary School and graduated from Rayne High School in 1961. He earned a B. S. degree in agriculture from USL and a M.S. degree in agriculture from LSU. Always proud of his Acadian heritage, he spoke both French and English when he started school. He recently retired from the U. S. Department of Agriculture's Farm Service Agency (FSA) after serving 41 years as County Executive Director of the Lafayette and St Martin offices. Trahan was a regular guest on KLFY-TV's Passe Partout program where he and host Jim Olivier spoke about agricultural news and events in French. He often substituted for Olivier and did the program in French. Trahan also wrote a weekly news column for the Daily Advertiser for 35 years. Trahan’s knowledge of the French language allowed him to explain USDA programs to farmers in the French language that many of them better understood. He also volunteered to speak to students studying agriculture and groups of French visitors touring Acadiana.